Following the news that Birmingham is an “all-Muslim” city, I can’t help but bask in the irony of an all Christian school opening in Birmingham city centre in September 2015. King Solomon business school is a first of its kind, as it specialises in international business for children aged 4- 19. The school is affiliated with the prestigious Woodard Foundation, which has over 150 years experience in running schools. 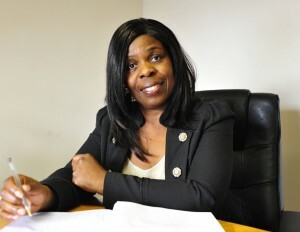 Asian World sat down with the chairperson of Excell- an organisation managing the school- Dr Cheron Byfield. We explored queries on every parents mind and everything you need to know before enrolling a child into a new school. But why the push for international business? Dr. Byfield explained: “It will be an international business school. The children will study the national curriculum; a very wide variety of subjects including maths history and geography. But in addition to that, from the first day they start the school to when they leave- so that’s from the age of 4 till 18, they will study one hour every week of international business. In the earlier stages, children will be learning how to develop the mindset for international mindset. So when they enter secondary school, they will be ready to use these skills. It sounds like an interesting programme, but the question on every parents mind is whether or not this is classed as a recognised qualification. The school has a prime city centre location- near Aston University. But for working parents who want to avoid the city centre rush, how does this affect their daily schedule? After coming under heavy criticism from the media, Birmingham has been labelled as ‘all Muslim’. How does an all Christian school fit in with this image of a radicalised city? She said: “It is a Christian school, but we welcome children from other faiths, including Muslims and those of no faith. King Solomon is a character that is highly respected in the Christian, Muslim and Jewish faith. So we have a basis for some positive common ground. We also have a multi faith prayer room, for children who want to take time out for religious prayers, or for a time of self reflection.